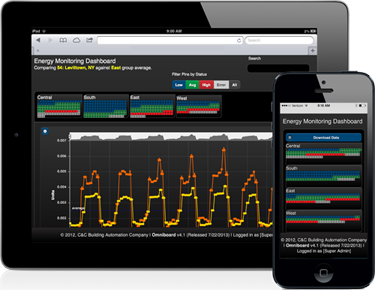 Omniboard is building control software uniquely designed to manage energy consumption, maintenance and functionality across multiple sites. It is a single graphical user interface (GUI) that integrates all manufacturers of digital control systems, without the need for additional hardware or replacing your existing systems. Placing the power in your hands, Omniboard’s patented software categorizes, analyzes, and presents real-time data in dashboards. Omniboard, built on 35 years of industry experience, offers a secure platform that protects your business. 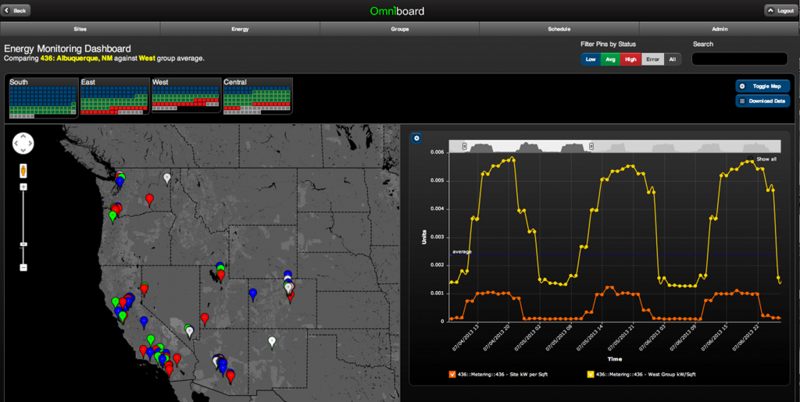 Omniboard is the retail market’s first real-time, open-source energy information and building automation software designed with multi-site retail portfolios in mind. Omniboard aggregates your different control system manufactures’ routers/servers into one user interface, providing your team complete monitoring and control capabilities. Omniboard supports a wide range of protocols including BACnet™ and other Internet standards used by energy management systems. Omniboard provides a single, easy to use interface for managing all properties and vendors. Omniboard facilitates maintenance management, providing for a more productive operation through powerful Site and Alarm management tools.